Plane travel is commonly accepted as one of the safest modes of transportation available. But just like on the road, aviation accidents can and do happen. And they often leave catastrophic injury and expense in their wake. Whether you’ve been injured in a commercial air accident or a small private craft, you could face significant medical bills, inability to work or even death. The most dangerous times to be on an aircraft are during takeoff and landing, when accidents such as runway incursions and taxiing problems can occur. However, in-air collisions are also possible, ranging from collisions with other aircraft to explosions, striking objects, or falling out of the air. The causes of California aviation accidents can vary widely from user error to errors on the part of air traffic controllers to weather conditions and malfunctioning parts. No matter what the causes, the outcomes of aviation accidents can be disastrous, as they are often fatal to the passengers and life-threatening to those on the ground. Though the Federal Aviation Administration (FAA) sets standards for flight, they are not always enforced, and poor training can lead to even more severe accidents. Usually, the National Transportation Safety Board (NTSB) is brought in to investigate aviation accidents, adding a layer of federal law to the local and state laws that can govern the aircraft. And their investigations can do nothing to relieve the pain and suffering of families who have lost their loved ones and the survivors who experience psychological trauma and inestimable suffering due to their injuries. Does California Law Protect Injured Victims? Victims are protected by laws that allow them to pursue compensation where negligence is present. In order to determine the causes of an aviation accident and pursue the responsible parties, survivors need the assistance of an Anaheim plane crash attorney who understands all applicable air transportation laws, can handle an intensive investigation and evidence collection process, and can draw upon local and national resources to mount the best possible case. At A1 Accident Lawyer, we understand the stress, confusion, and pain that can come along with an Anaheim aviation collision. We have dedicated our legal practice solely to personal injury representation to help our clients find justice for themselves and their deceased family members. Have you been injured or lost a family member in an aviation accident? Your time to file may be limited. Contact our Anaheim injury attorney’s here at A1 Accident Lawyer at (714) 535-5090 today for more information and a free case consultation. 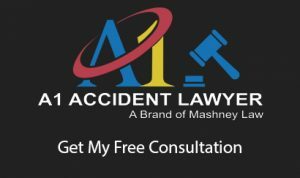 A1 Accident Lawyer, we work together in groups to give your case the resources and dedication it deserves. Our legal team is comprised of attorneys, case managers, investigators, and legal assistants, all of whom are available to personally meet with you and discuss your case. WordPress Theme built by Shufflehound. © 2019 All Rights Reserved.